I was able to experience something wonderful a few weeks ago. On Friday night my husband told me to get all dressed up and he whisked me away to a surprise destination. He was celebrating me, for I had finally reached the 50 year mark in my life. We arrived at our secret place and as I entered the room that held this wonderful gift awaiting me, I found myself standing in an auditorium filled with the sounds of instruments tuning and voices chattering. We found our seats right up front, sat and drank in the sights and sounds as we waited. The lights dimmed and the room was immediately silenced. One violinist stood and glided his bow across the strings of his instrument as the Orchestra tuned in to his lead. Applause erupted as the guest pianist floated across the stage, bowed and took her place at the grand instrument. More applause as the conductor walked out, bowed and stepped upon the box. Silence fell once again as she lifted her baton and the Virginia Symphony Orchestra prepared to delight their audience with sounds of Beethoven and Mahler. I was mesmerized for 2 hours watching the movements and emotions of the beauty before me as each person became one with their instrument…one with their fellow players…following the written music set before them…following the conductor as she led the way. It filled my heart with great joy. What a wonderful blessing to experience something so beautiful…so satisfying…so perfect. A thought comes to my mind…this picture of beauty, satisfaction, perfection…isn’t this a small dose of what the Body of Christ should look like? 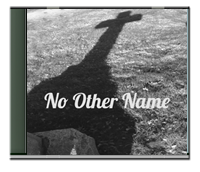 The Bible says that we are one body with many different parts (1 Cor. 12:12) and when we individually “make a careful exploration of who [we] are and the work that [each of us] has been given and then sink ourselves into that [taking the] responsibility for doing the creative best [we] can do with [our own lives]” WITHOUT “being impressed with [ourselves] or comparing [ourselves] with others” (Gal 6:4-5 MSG) it is then that as we gather together for one purpose that we can become one with the instrument of our lives…one with our fellow brothers and sisters…following the instructions God has given us through His word…following Christ as our Conductor leading the way. How beautiful the Body of Christ would be to the world. Maybe then…the Body of Christ could draw crowds of people and they would sit mesmerized by the beauty of many different parts moving as one…flowing together in unity. How mysterious…how delightful…how simply refreshing that would be. I have a lot to learn. It takes hard work and lots of practice to know your instrument…to know just where to place your fingers so that what is played is perfect and beautiful to those who hear the notes you play. “Make a careful exploration of who you are” – learn your instrument, “and the work that you’ve been given”—learn your finger placement, “sink yourself into that” – play beautifully. Posted by Jill on November 19, 2014 . 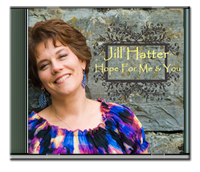 Click here for my latest CD! 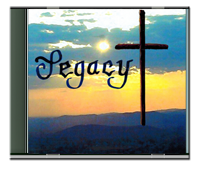 Click here for Legacy new CD! Click here for my first CD! ©2012-2016 ~ JillHatter.com ~ All rights reserved.